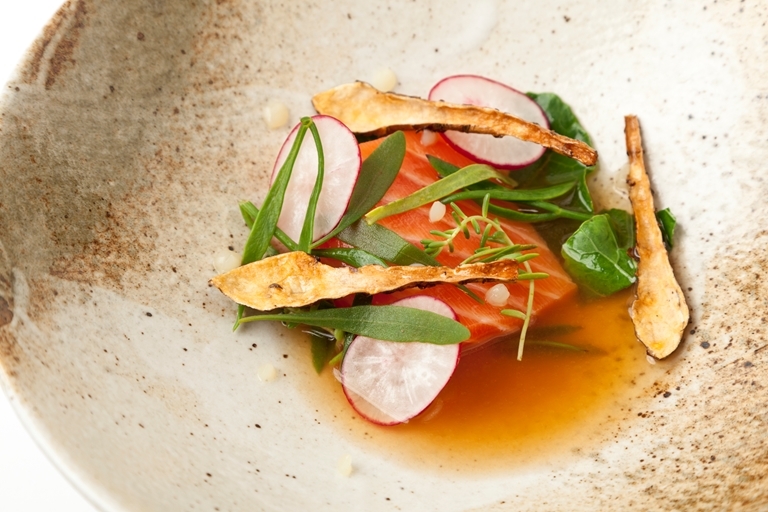 Use organic, sustainable salmon for this challenging sous-vide salmon recipe. Paul Foster garnishes this dish with foraged sea vegetables at his restaurant. At home, you can substitute for asparagus, spinach, pak choi, baby fennel tops.